After beating the Blair Vikings by a score of 68-25, the Tigers now look toward their final matchup against Temple City in their quest for a CIF berth. Boys’ basketball easily handled the last place Blair Vikings on Tuesday, January 29, cruising to a 68-25 win over the winless squad. The Tigers were in control the whole game, as they worked on executing offensive plays en route to improving their league record to 4-5. Senior guards Jack Gordon and Matt Mayemura led the Tiger offense, with Gordon scoring a team-high 12 points. Although South Pas took care of securing the victory, the team had concerns about suffering any further injuries against a lowly opponent before their important Senior Night matchup against Temple City. 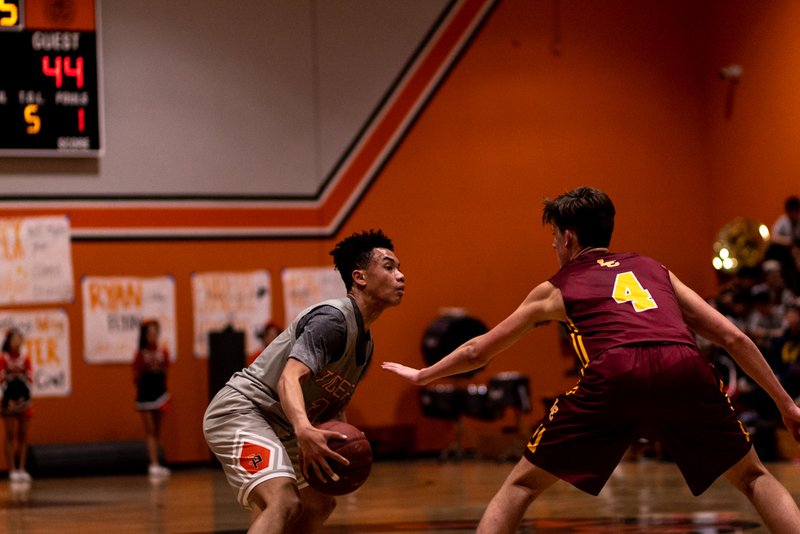 Unfortunately for the Tigers, senior Kyle Tashiro was forced to exit the game in the second quarter after rolling his ankle. The rival San Marino Titans suffered a 60-36 loss to La Cañada tonight, which evens the Titans and Tigers at 4-5 in third place heading into the final Rio Hondo League gameday on Thursday. South Pasadena will take on the second place Temple City Rams at home, while San Marino will travel to Monrovia to take on the Wildcats, who recently beat the Tigers. With the third place team qualifying for CIF play, the deadlocked standings present multiple different playoff scenarios. If South Pas wins and San Marino loses: The Tigers will clinch third place outright and earn their first CIF playoff berth under Coach Ryan Lee. If both South Pas and San Marino win: The Tigers and Titans would tie for third place, setting up a winner-takes-all tiebreaker game between the two for the playoff berth. 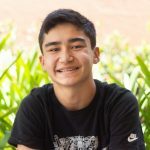 If San Marino wins and South Pas loses: San Marino would qualify for CIF and the Tigers would be left contemplating about their crucial loss to Monrovia last week. If both South Pas and San Marino lose: South Pas, San Marino, and Monrovia would all be locked in a three way tie for third place. Thus, leaving the CIF bid at the hands of Rio Hondo League tiebreaker rules. For South Pas, the senior night provides an opportunity to end a three-year playoff drought, and the matchup sets up one of the most important home basketball games in recent memory. The pathway to the playoffs is straightforward: win and they are in. Yet it will be no easy task against the 8-2 Temple City Rams. The crucial game will take place this Thursday night in the SPHS Gym at 7 p.m. following senior night festivities at 6:30 p.m.